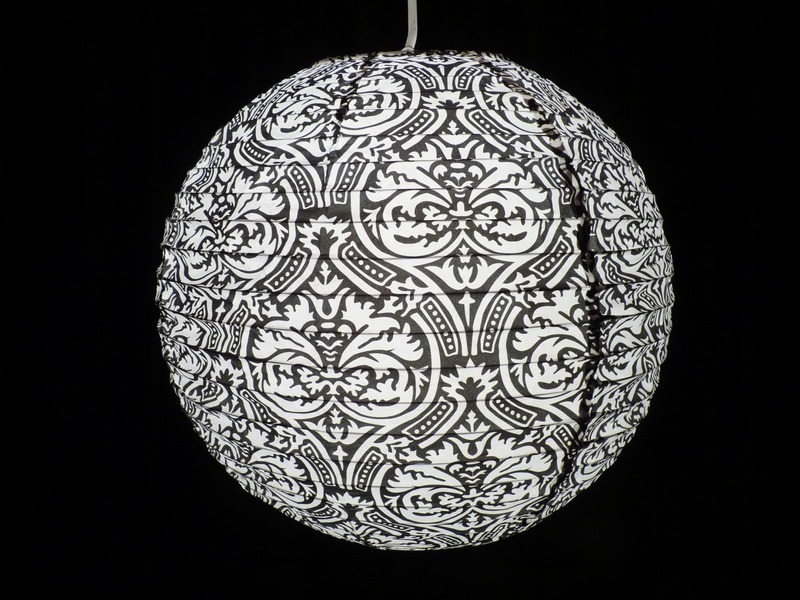 This stylish Black and White Paper Lantern is a fantastic interior design addition to any room in the house. 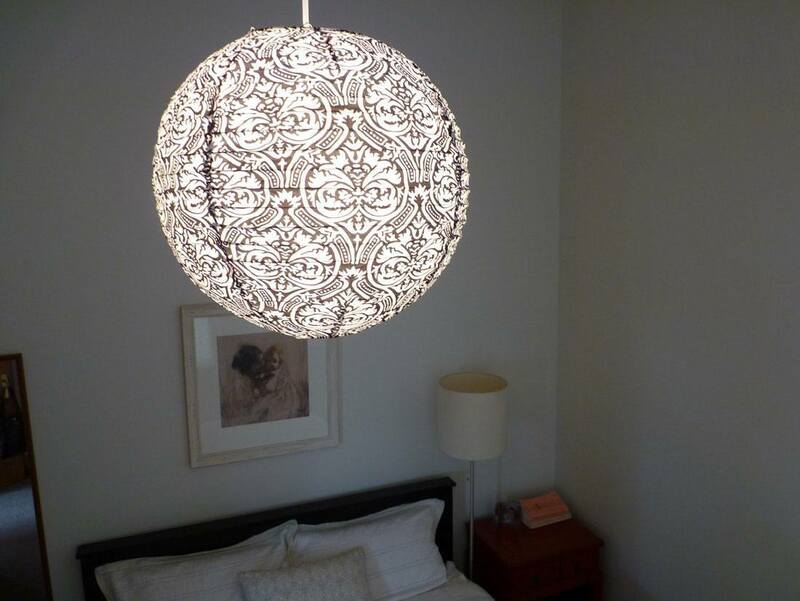 So easy to install on existing hanging light bulbs, or else add some light inside with our battery operated fairy lights. These lanterns look great solo or as part of a group. 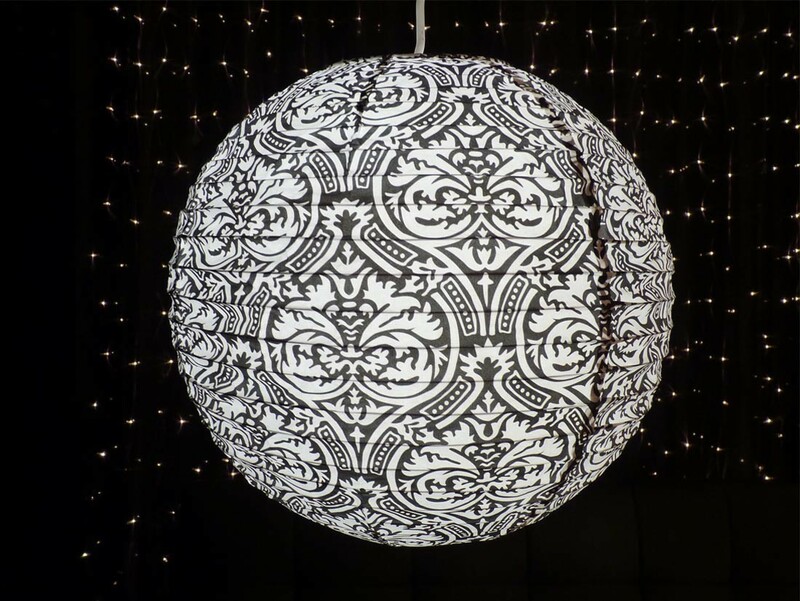 They are ideal for events as they are lightweight and can also be used without lights inside them for a stylish addition to a theme. These lanterns make a lovely and very affordable gift.